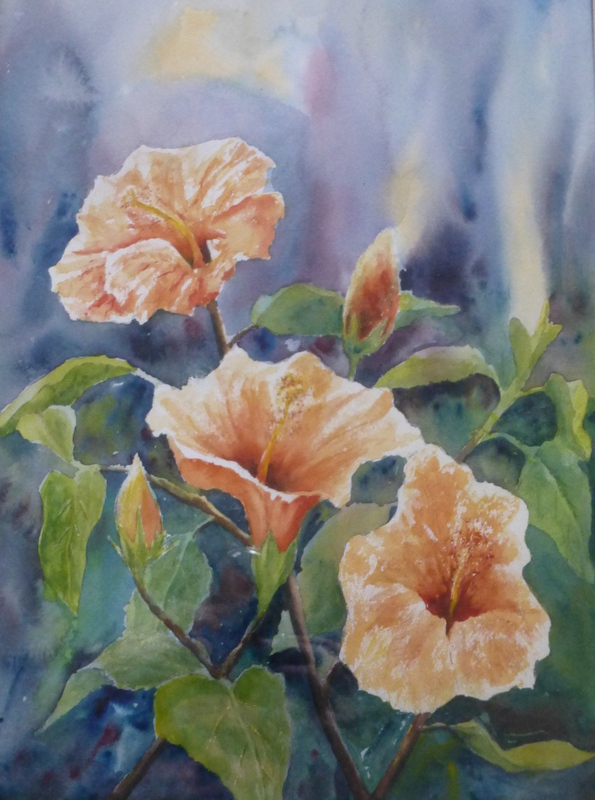 This entry was posted in floral, hibiscus, watercolour and tagged floral, hibiscus, watercolor, watercolour, watercolours. Bookmark the permalink. I like the deep purples that set the background, especially nice down around the stems and bottom leaves. Thanks for your comments Rebecca. I started with the purples and blues at the top and then felt that there was nowhere to go and put the painting aside. I picked it up later and mixed some greens into the lower part and realised I could connect the top and bottom and then decided to carry on. Glad I did.